Mastering the art of the upsell is vital for maximizing the profitability of your restaurant. The truth is, however, that upselling is often far from your average employee’s mind as they’re busy serving guests. Providing great customer service simply requires juggling so many different things at once – remembering to offer an appetizer or dessert, or to remind guests of a new promotion, can often go out the window. Managers often use things like sales competitions between servers to drive upsells, but these methods can be a drain on managers’ time and thus difficult to keep up with. In the long-term, you will see a better return from complementing this active approach with a well-designed culture of upselling. With this culture in place, you can consistently encourage your employees to maximize profitability even when you don’t have the time to incentivize upselling directly. In this post, we’ll focus on concrete steps you can take to design an environment that contributes to a culture of upselling. But first, we should understand what culture means in the context of your restaurant. Vision: What is your purpose? How does this purpose orient your decisions? Values: What sorts of guidelines dictate your behavior and perspective? Practices: How do you enact those values in your day-to-day work? People: How do you recruit and retain those who reflect your values? Narrative: How does the history of your organization reinforce your culture? Place: How does the design of your space reinforce your culture? We won’t get into things like mission statements, company values or hiring practices right now. These things come from a healthy mix of soul-searching and market research. Rather, we want to focus on the element of “place” as a contributor to reinforcing a culture of upselling. “Place” often gets lost in higher-level discussions about culture because it seems so mundane and so obvious. This is a mistake – not only is designing place vital to designing culture, but it’s also the only area where you can make concrete improvements quickly and see results. Signage gives you a chance to influence a guest’s perception of your restaurant and your brand. Use it to highlight the things that make your restaurant special. Do you use premium cuts of meat? Are your ingredients sourced from a particular local farm? Have you won any awards that might sound impressive? Find ways to highlight these facts in your signage so that guests can discover them on their own. By doing so, you’ll differentiate your restaurant from the competition and transform your guests’ meals from commodities into experiences. When that happens, they won’t be making purchasing decisions based primarily in price, opening them up to upsell opportunities. If you have the space, use your signage to highlight particular menu items or products. These may be seasonal/limited offerings, new recipes that you’re trying out, or simply more premium options that you’d like to promote. Often, the best place to employ this particular tactic is on signs that face the street. Coffee shops, for instance, might take advantage of the transition from summer to autumn with a clever street sign promoting pumpkin spice lattes. This messaging not only helps to increase foot traffic, but it also gives customers a subtle nudge to splurge and purchase an item that’s likely twice as expensive as a regular coffee. 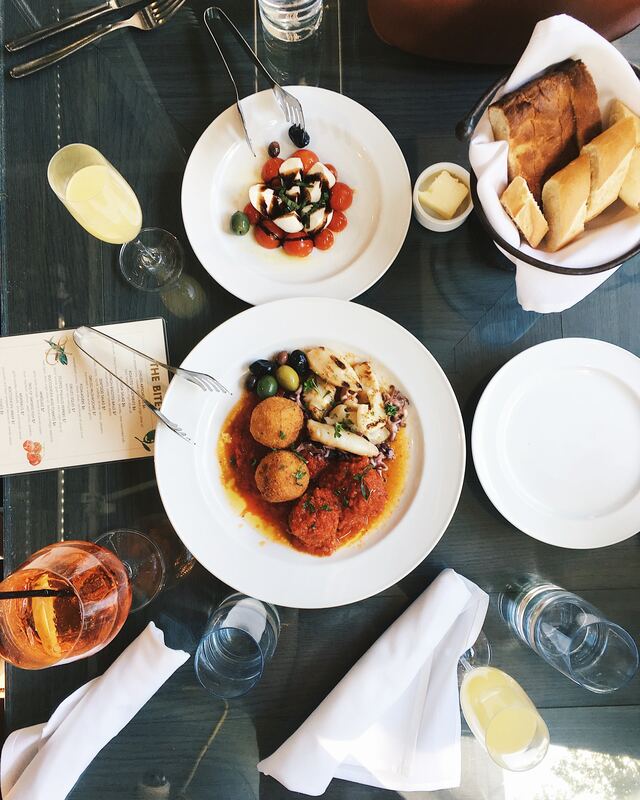 Your menu is more than just a place for you to list out what you offer. It’s a key tool in your upselling arsenal. By intelligently designing your menu, you can open your guests up to spending more, making it easier for your wait staff to come in and close the deal. Not only does the extra description get your guests’ mouths watering, it also signals to them that your burger isn’t just a food item – it’s an experience worth paying extra for. Most of your guests likely aren’t gourmets. Their palates probably aren’t capable of explicitly detecting, say, the presence of saffron or not. That said, calling out ingredients that have premium or interesting associations can help to reinforce a particular menu item’s higher price. Often, restaurants do this as a matter of course For example, Maine lobster can be qualitatively different than other sorts of lobster, and chefs will be quick to point out which kind of lobster they’re serving on their menu. Other times, though, the association can have less to do with the food itself and more to do with a customer’s preconceived notions. A guest who might otherwise be dining on the cheap may be willing to spend a few dollars extra to order the Jack Daniel’s BBQ Burger, less because they love the sauce and more because they already value the brand. While these cues might seem minor, sometimes the simple act of recognition can be enough to push a guest toward spending more. Getting upselling right with your menu can be a matter of experimentation. 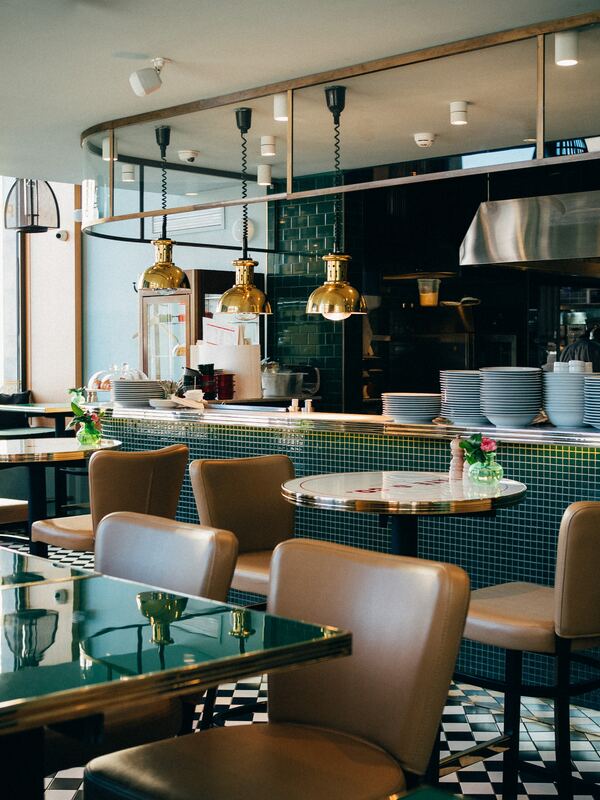 Even the most experienced restaurateurs cannot predict exactly how their customers will respond to certain changes in the environment. 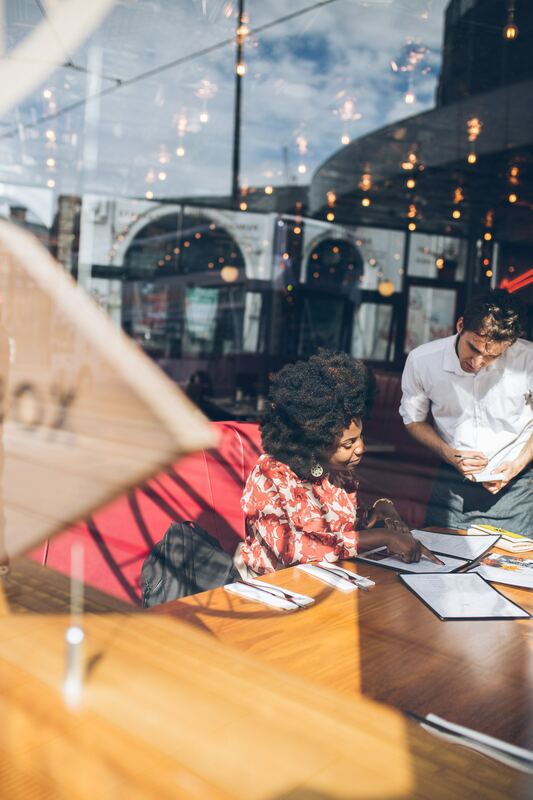 Due to the costs associated with producing physical signs and menus, however, it can be difficult for restaurants to adjust to customer feedback in real time. That’s why an increasing number of restaurants are relying on digital menu boards and other electronic means of conveying information to their customers. Most modern digital menu boards can be easily updated through a computer program or online portal to reflect refined language, new offers and anything else that a restaurant would like to highlight. With the rise of on-table tablets and handheld POS systems, restaurants are increasingly taking their printed collateral digital in order to capitalize on this enhanced flexibility. At the moment, digital menu boards are more likely to pop up in casual environments, such as quick-service restaurants and family-oriented chains. As a new generation of restaurateurs and diners takes over the marketplace, though, expect to see more businesses adopting this digital-first approach. When considering the tempo of the music that you’re playing, consider the effect that you’re trying to have. Studies show that slower music can influence diners to stay longer and spend more money. At a sit-down restaurant where you want to encourage guests to stay a while, order more drinks and luxuriate, this might be an asset. However, if you’re running a fast casual and your goal is to turn tables as quickly as possible, you might want to pump up the tempo a bit. This might not bump up your average check, but it will enable you to serve more customers per day. Similarly, the volume of your music should also serve your strategic goals. Running a bar? Then you probably want to crank up the volume. Studies have shown that louder music will encourage customers to order more drinks in a shorter period than they otherwise would have. Want guests to slow down and really savor their meals? Then turn the volume down. Research indicates that when music is too loud, it literally impedes our ability to taste things. A guest is less likely to appreciate the care you put into crafting a dish when you’re blasting music at them. Finally, consider the genre of the music that you’re playing. This seems like an obvious rule – you likely wouldn’t play heavy metal music in an upscale French restaurant – but how many times have you walked into an establishment and been totally perplexed by what’s blaring out of their speakers? For an example here, we look outside of the restaurant industry and into a florist’s shop. A 2009 study had researchers monitor how playing no music, pop music or romantic music affected shopping behaviors. By a sizable margin, playing love songs led to customers spending more money per purchase. The importance of context cannot be overstated. Make sure that you find the right time and location for your upsell opportunities. If you’re trying to promote your restaurant’s differentiators using signage, make sure guests see those signs before they order. If you want to pump up the volume of your music at night to boost drink sales, remember to turn it down for tomorrow’s lunch service. In general, the more quickly you get your message across, the better. If you’re designing a special cocktail menu to drive up drink sales, don’t bury the drink’s ingredients in a paragraph-length description – list them out. If there are particular entrees that you want guests to focus on, don’t make people read your entire menu to find them – call them out with different fonts, colors or designs. Don’t get so obsessed with what you want your guests to do that you forget what they’re actually likely to do. You might want every single guest to order a $100 cut of steak, but if most of them are there to order a $15 burger and fries, you’ll have better luck upselling them into adding bacon and ordering an appetizer. Quality does not only refer to professionalism, though it should go without saying that everything in your restaurant should be totally polished. Rather, think of quality as quality of experience. Your upselling efforts may be consistent and intentional, but they should never detract from a guest’s experience. Creating an upsell culture is not a set-it-and-forget-it kind of thing. As the seasons change, so should your seasonal offers. As a promotion or a special gets stale, you should already have your next idea in mind. Guests will absolutely notice if it seems like you aren’t able to keep up with your own restaurant, and they will spend accordingly. We’ve focused on one aspect of designing company culture – designing place. We focused on place in order to provide concrete, actionable tips, but that doesn’t mean that the other five components (visions, values, practices, people and narrative) are any less important. 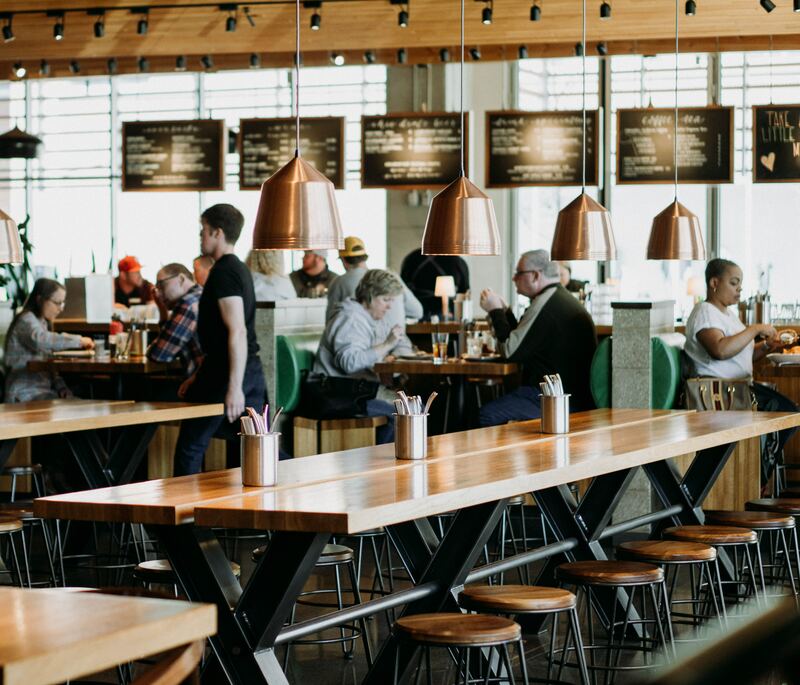 If you’re able to intelligently design place in a way that reflects your vision for your restaurant, the values of your organization and the image that you’d like to project, then you’re well on your way to creating a lucrative culture of upselling. Spectrio is one of the nation’s leading end to end technology-enabled in-store marketing companies, providing professional content and managed services on a monthly subscription basis. Industries served include QSR, convenience stores, healthcare and more.